As a board certified specialist in urology, Dr. David Shusterman at NY Urology with locations in both Forest Hills and New York City, New York is uniquely qualified to manage complex urinary conditions like kidney stones. Testing, diagnosis, and treatment are all available right in the office. No hospital time is necessary. If you suspect you suffer from kidney stones, please contact NY Urology for a diagnostic appointment. Kidney stones are hard mineral deposits that develop inside the kidneys. The exact cause varies by patient but they often form due to very concentrated urine. Passing stones of any size is a painful process, which is why early diagnosis is so critical. Dr. Shusterman practices holistic medicine and that means looking at a variety of symptoms affecting each patient and identifying risk factors that may make them vulnerable to something like kidney stones. The combination of preventive medicine and lifestyle changes may prevent kidney stones from ever becoming a problem. Dr. Shusterman specializes in Kidney Stones and Kidney Stone treatment, distinguishing himself as a leading expert in New York. Visit NY Stone Center to learn more about he can help you treat your stones. When kidney stones are microscopic, most patients don’t experience any pain at all. In fact, it’s not until the stone passes into the ureter that you’ll even begin to notice any symptoms. The primary symptom that brings people to Dr. Shusterman is severe back pain or pain in the groin and thighs. Other symptoms include blood or white pus in the urine; a severe urge to pass urine even if the amount of urine you release is less than normal; a burning sensation while you pass urine; and nausea, vomiting, and fever. He can also conduct an extracorporeal shock wave lithotripsy, which is a non-invasive procedure that uses acoustic pulses to eliminate kidney stones. The goal is to break the stones so they can pass naturally through the urethra. It starts with a procedure known as an extracorporeal shock wave lithotripsy (ESWL). The ESWL uses sound waves to create vibrations that blow the stones up safely. It is a non-invasive procedure done right in the office. The patient may experience mild discomfort, but Dr. Shusterman is on hand to help manage the pain by providing light sedation or even anesthesia. Along with the ESWL treatment, Dr. Shusterman advises patients to drink lots of water to flush the urinary tract system and encourage the stones to pass. 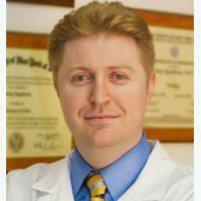 He uses only the most cutting edge treatments at both NY Urology and his very own NY Stone Center. Are there any complications from the ESWL treatment? There may be some minor bruising on the back or stomach and possibly blood in the urine. The patient may also feel some discomfort for a few days, especially as the stone fragments start to pass. The alternative to this treatment is surgical, however, which requires both hospitalization and recovery time. Can I prevent kidney stones from developing? The best thing you can do to protect yourself from developing kidney stones is to drink enough water. A good indicator that you’re sufficiently hydrated is to have clear, odorless urine. You should also maintain a healthy weight and participate in moderate exercise for at least 30 minutes, five days a week. Hero: David Shusterman, MD offers his patients from in and around Manhattan, New York advanced urine tests to diagnose kidney stones at his practice, NY Stone Center. In addition to a comprehensive urinalysis, Dr. Shusterman provides tests that measure the speed and volume of your urine flow. Results are available on the same day, which allows him to begin treatment as quickly as possible.